When we were little girls, my sister and I used to wake up very early on Christmas morning to see the goodies inside of our stockings. Santa always left our stockings hung outside of our door and we knew that we could open all of the little surprises in there, letting our parents get just a little bit more sleep before the official Christmas festivities began. With everything from Bonnie Bell Lip Smackers to pretty earrings, the stockings were such a delight to open! Usually every individual gift in the stocking was wrapped in paper or a small pouch. Pretty wrapping added a bit of mystery to the situation and made the stocking even more exciting to explore. To this day, I enjoy shopping for stocking stuffer treats and putting together unique and original ideas for this special gift! 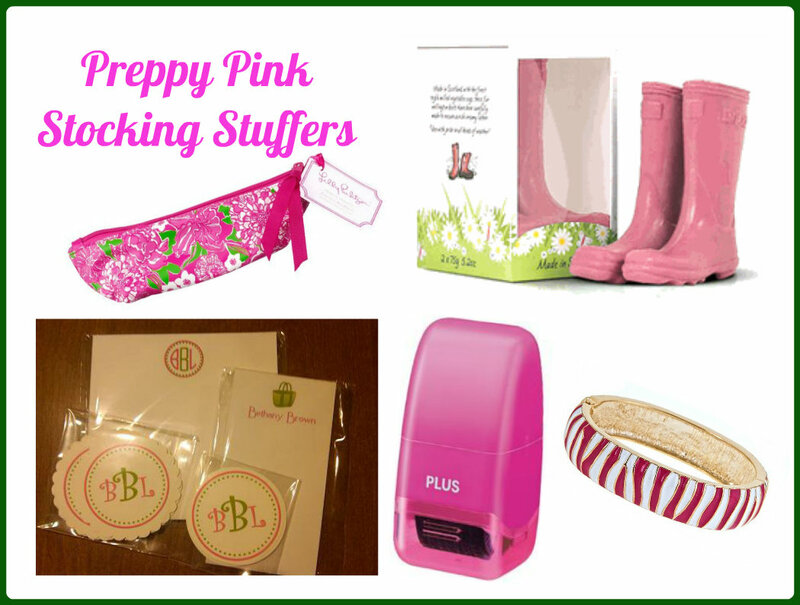 Here are some of my favorite stocking stuffer ideas in preppy pink! These perfectly preppy stocking stuffers are sure to thrill your favorite peep this Christmas. Lilly Pulitzer's pencil pouch in May Flowers is perfect for makeup, pencils, or any other small object. You could even tuck a Bonnie Bell Lip Smackers in there just for a bit of nostalgia. Everyone loves Wellies, but they won't fit in your stocking! Pick up some triple milled soap shaped like a pair of Pink Wellington Boots. Wouldn't this look adorable in a guest bathroom? 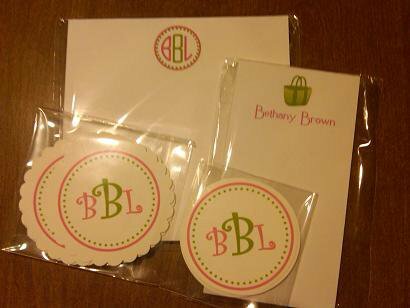 Since it's the end of the year, it's always a good time to stock up on monogrammed stationery. These preppy monogrammed note pads and gift tags from mcc designs are a delightful and personal gift that shows that you put some effort into carefully choosing a gift. Protect yourself and your friends from identity theft with the pink Guardstamp Guard Your ID Mini Roller. The roller uses a combination of numbers and letters to mask your personal information on receipts, bills, and mail. 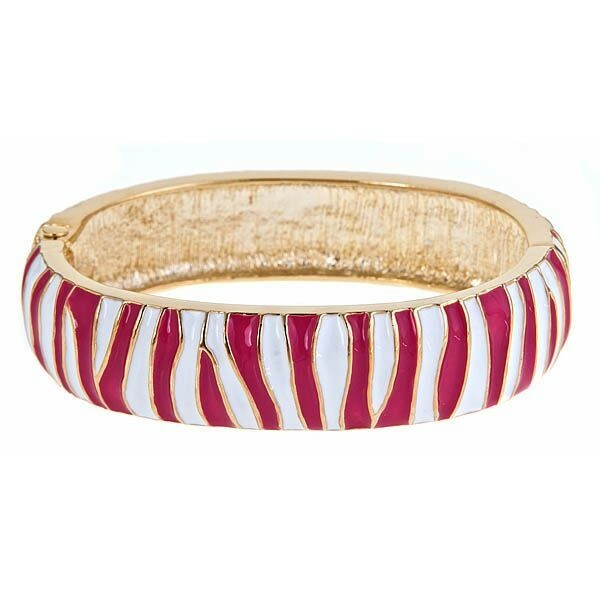 You can never have too many bangle bracelets! Stack them and mix and match patterns, colors, and textures to add a pop of color to your winter outfit. 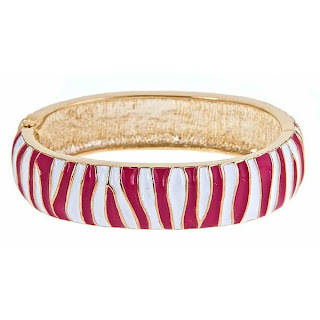 I love this pink Zebra Bangle Bracelet. So pretty! How cute are the Wellie soaps! Thanks for the inspiration (and source). I always add some of Melissa's great paper goods into our stockings. They are a big hit in our house. Thanks for some new ideas too! These are some great ideas. Love the stationary and the boots, especially! Have a wonderful weekend!